So you’re unsure about smart home tech. It seems like there are too many gadgets to choose from, and even if you manage to narrow down your options, smart devices look complex to install, raise security concerns, or simply appear to be more trouble than they’re worth. Turns out you don’t have to be a tech whiz to set up and use many smart home gadgets. Plus, incorporating them into your day-to-day routine is actually simple, which means you can use them to work smarter, not harder. Here are three high-value devices to get you started. The first thing we often think of when it comes to a smart home is a digital assistant who responds to voice commands. The Amazon Echo with built-in Alexa fulfills this vision. Use Alexa for simple tasks like reading the weather report and setting a timer (neither of which require any additional skills or set-up), or employ her to control your thermostat and smart lights. There’s a job for Alexa in every room—whether you live in a large house or a studio apartment. Amazon’s Alexa-enabled devices have a significant edge over other smart speakers and their built-in assistants — Apple’s Siri and Google Assistant, for example — when it comes to smart home integration. This is largely thanks to the Echo’s compatibility with thousands of smart home devices and Alexa’s more advanced capabilities. The set-up process is straightforward as well—you don’t need a degree in engineering to download the Alexa app and connect your Echo to your Wi-Fi network. If you’re concerned about your smart speaker listening to and recording everything you say, you can turn off the device’s microphone, change the wake word, and review and delete saved recordings in the Alexa app. Although these devices aren’t highly secure, they probably aren’t capturing conversations you don’t intend for them to hear. 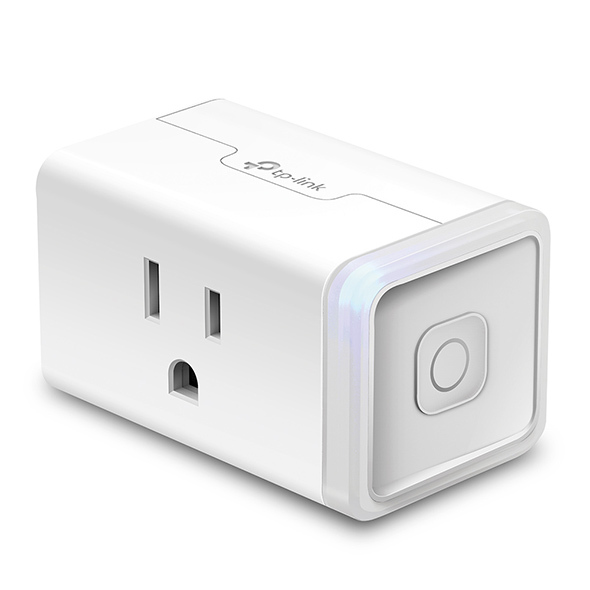 Smart plugs are truly a home automation beginner’s device: There’s not much to them besides inserting them into an existing wall outlet, downloading a companion smartphone app, connecting to Wi-Fi, and plugging in small appliances like lamps and chargers. The Kasa Smart Wi-Fi Plug from TP-Link is a budget-friendly gadget with which you can set up timers and schedules for your lights and remotely turn off the curling iron or slow cooker you accidentally left on and running. Setting the plug up is easy, and you can even connect it to your Echo and control it with voice commands. Smart light bulbs are a handy way to avoid ever having to flip a light switch. You can set up routines to dim, brighten, or turn bulbs on and off at certain times of the day or when you leave or return home, which is both convenient and a helpful security feature. Philips Hue bulbs will replace existing bulbs in (many of) your lamps and light fixtures. Like many smart home devices, setup involves downloading an app and connecting to Wi-Fi, though Philips requires a separate bridge to act as the go-between for your bulbs and your home network. The Philips starter kit comes with the bridge and two bulbs with a 16 million color range—there’s a less expensive version ($67) with white-only lights. The Philips app is simple to use but has a lot of functionality when it comes to customizing your lighting scenes and routines. Plus, you can connect to Hue Labs, which gives you access to features like advanced presence mimicking—a function that randomizes your lights so it appears as though you’re home when you’re not. If you sync your lights to Alexa, you’ll be able to turn them on and off with your voice. Smart home gadgets are as simple as you make them. Start small, and build over time as you learn how these devices can work for you. ASK SAMAA: How do I learn to love myself? Why aren't you protesting the Dakota Access Pipeline?